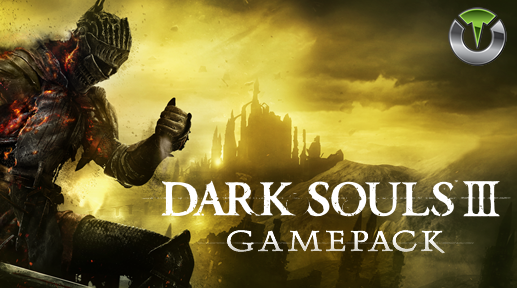 Titan One Exclusive Feature: Dark Souls III Gamepack. Hold down CROSS/A to quickly pick items on the ground and accelerate the scrolling of the dialogues. Hold down circle for 500ms to activate the auto hold and being able to control the camera while running or climb ladders. With this MOD you can change the game controller layout to the God of War button layout, allowing use sprint, roll and jump without loose control of the camera. (1) Purchase 3 Leather shields and equip in the 1st, 2nd, and 3rd slots of left hand. (2) Put an Estus Flask (it can be Ashen or just regular) in your toolbelt, with no other items on there. (3) Put the boss soul in your inventory, and remove all other items too. (4) Start the Dump loop by holding UP and pressing CROSS/A. Enabled - Hold UP and press CROSS/A to start/stop the dump loop.